This sophisticated corporate designed crystal is perfect for all countries to recognize a patent's issuance. 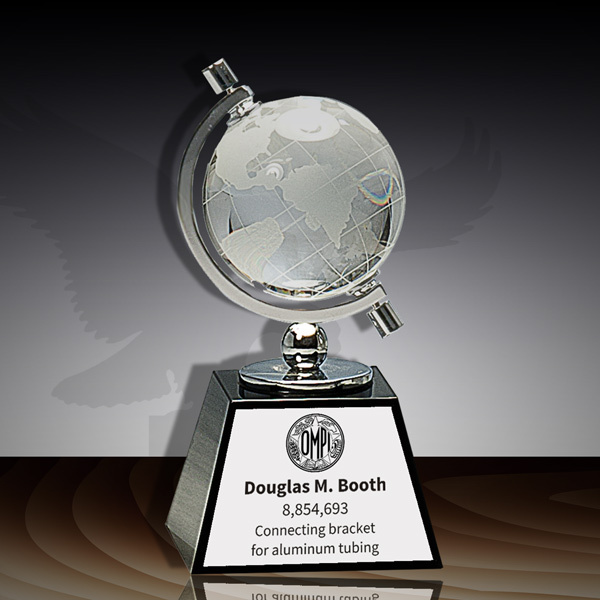 It features a spinning crystal globe on top of the black base with a metal plate with custom patent information and imagery. This main plate prints in full color so add a logo or hue to customize the look. Just let us know in the special requests section of your order form below. 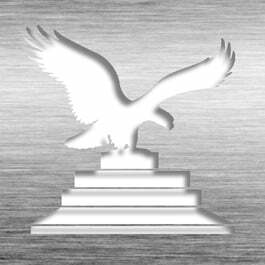 Available in our Silver HD or premium White Plastic Plates. This Patent Award - Crystal Desk Globe Black Base JCR-315 is part of our Patent Desktop Award Series of products, check out other products & options available in the Patent Desktop Award Series of our selection. This Patent Award - Crystal Desk Globe Black Base JCR-315 can be modified to your requirements and is available for your corporate award programs.